Definition: The Adams Onis Treaty (aka the Florida Treaty and the Transcontinental Treaty) was an agreement signed on ‎Febru ary 22, 1819 between the United States and Spain that gave Florida to the U.S. and set out a boundary between the United States and New Spain (now Mexico). The Adams Onis Treaty is named after the men who negotiated the agreement: John Quincy Adams, Secretary of State of the United States, and Don Luis de Onís (1762–1827), the Spanish minister in America. James Monroe was the 5th American President who served in office from March 4, 1817 to March 4, 1825. One of the important events during his presidency was the Adams Onis Treaty and the purchase of Florida. The colonies of East and West Florida had remained loyal to the British during the Revolutionary War for American independence, but by the 1783 Treaty of Paris the Florida colonies returned to Spanish control. The lands belonged to Spain and they became a refuge for runaway slaves, fugitive Native American Indians, smugglers, and criminals of all kinds. Once in Florida, fugitives were generally safe and many joined the Seminole Indian tribe. Some Americans immigrants also moved into West Florida. In 1810, the American settlers in West Florida rebelled, declaring independence from Spain. The US Government used the rebellion in West Florida to make a claim on the lands. 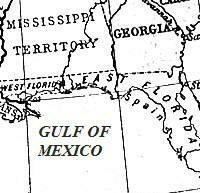 The claim was based on the contention that part of West Florida, from the Mississippi to the Perdido rivers, was part of the Louisiana Purchase of 1803. Negotiations between the U.S. and Spain for the Florida lands began in 1815. 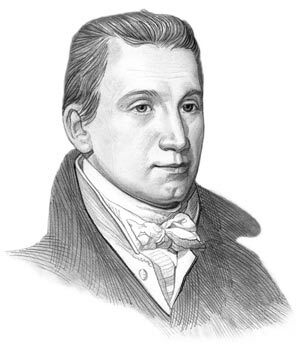 The Spanish minister Don Luis de Onís and James Monroe, who was then Secretary of State, led the negotiations. The Spanish suspected the Americans of supporting the rebellion of the West Florida settlers and the talks failed. The situation in Florida erupted again in 1818. General Andrew Jackson chased some fleeing Native Indians over the boundary. The fugitives sought refuge with the Seminoles in the Spanish forts at Pensacola and St. Marks. The Seminoles and the escaped slaves were seen as a threat to Georgia. General Jackson was obliged to take the forts as well as the fugitives. His action was well received by the American public, and therefore received approval from the politicians. Americans sympathized with the Spanish colonists in their desire for independence. The raid on Florida by General Jackson gave the US Secretary of State, John Quincy Adams, the opportunity to open discussions again with the Spanish on behalf of the Monroe administration. He took an aggressive stance demanding that Spain either controlled the inhabitants of Florida or cede it to the United States. Reason for the Adams Onis Treaty for kids: Why did Spain sell Florida? What were the aim of the Adams Onis Treaty? What were the Terms of the Adams Onis Treaty? ● It set out a boundary between the U.S. and New Spain (now Mexico). The Significance of the Adams Onis Treaty: How did the Adams Onis Treaty promote Nationalism? The info about Adams Onis Treaty provides interesting facts and important information about this important event that occured during the presidency of the 5th President of the United States of America. The article on the Adams Onis Treaty provides an overview of one of the Important events in his presidential term in office. The following James Monroe video will give you additional important facts and dates about the political events experienced by the 5th American President whose presidency spanned from March 4, 1817 to March 4, 1825. ● How did the Adams Onis Treaty promote Nationalism?